A summertime cocktail party calls for a refreshing drink, such as a honeydew Martini. Melon is one of the quintessential flavors of the warmer months, and honeydew can immediately conjure up images of childhood picnics for some people. Many remember taking a bite of the sweet fruit and ending up with the juice dripping down to their elbows.Honeydew melon has pale green flesh that is thick and sweet. It is similar to the cantaloupe in texture and sweetness. The choice ingredient for honeydew-flavored cocktails is Midori which was launched at Studio 54 in 1978. It is a bright green melon-flavored liqueur that contains about 20 percent alcohol. Since it is very sweet, people do not usually consume Midori by itself, It's often used in mixed drinks such as a Japanese slipper. Midori is a fantastic addition to many sour drinks because it balances the sweetness of the cordial. Of course, it's also great in honeydew Martinis. There are several recipes you can use to produce excellent honeydew Martinis. Note that these are nontraditional Martinis because they contain neither gin nor vermouth. You can choose the recipe that suits your palate best, or pick the one that's easiest for you to make. Fill a cocktail shaker halfway with cracked ice. Pour the vodka, Midori and triple sec into the shaker. Shake vigorously and strain the drink into a Martini glass. Garnish the glass with a twist of lemon or a wedge of honeydew melon. This Martini requires puree of the melon which imparts an authentic flavor to the cocktail. 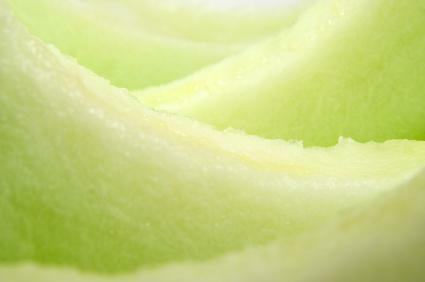 To make the honeydew puree, put peeled melon pieces in the blender and blender until smooth. Pass the blended mixture through a fine sieve and retain only the juice. In a cocktail shaker filled halfway with cracked ice, combine the vodka, Midori, honeydew puree and honey. Add one half teaspoon of juice from the lemon. Shake the drink vigorously, and strain it into a chilled Martini glass. Top this mixture with the Champagne, and garnish it with a slice of honeydew. A little pineapple juice and coconut milk make this honeydew martini a tropical heaven. It is stunning with its beautiful color. Pour all ingredients into the shaker, and shake it vigorously. Strain the drink into a Martini glass, and garnish it with a pineapple wedge. In addition to Midori, you can purchase melon-flavored vodkas such as Smirnoff Melon Vodka or Vincent Van Gogh Vodka Melon. These vodkas are made with the essence of melon flavors and offer a juicy flavor that can further enhance your Martini. You're better off substituting it for the plain vodka in your honeydew martini instead of adding it to top off the drink. If you use it in this fashion, your drinks may be much stronger than you originally intended!